BIXOLON’s range of POS printers are perfectly designed to meet customer requirements within both retail and hospitality. Whether you require speedy printing for receipts at a dining table or efficient printing of tickets at a venue, the superfast printing and excellent redability offered by our selection of POS printers is certain to serve the needs of you and your customers. Our POS printers are compatible with the Apple iOS™, Android™, Windows™ and Symbian™ operating systems. Due to this compatibility, it is incredibly easy to set up our POS printers with most tablets. Many of our BIXOLON POS printers also support bluetooth and WiFi, making integrating with your devices even more seamless. BIXOLON’s collection of label printers are ideal for various uses, including logistics and warehousing. 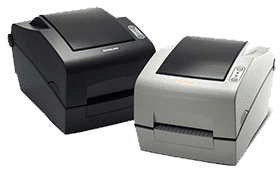 Our Direct Thermal and Thermal Transfer intelligent label printers also fit easily into all labelling, barcode and ticketing applications. 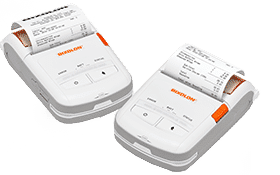 When combined with WiFi, Ethernet and USB connectivity, this makes our label printers both easy to set up and efficient. To simplify the set up further, we have ensured that our label printers are compatible with most popular operating systems. This will allow seamless integration with your PC or wireless devices, such as tablets or smartphones, within any venue. BIXOLON’s mobile printers are already used by customers around the world for labelling, receipting, ticketing and reporting. In fact, since launching our mobile printers in 2007, they have helped change the mobile printing industry drastically. This is partly due to the fantastic SDK’s available Apple™ (with MFI Certification), Android™, Windows™ & Symbian™ platforms. BIXOLON’s mobile printers easily integrate with your various devices, such as tablets and smartphones, due to their cable, Bluetooth and WiFi support. They have also been specially designed to offer one of the most compact and rugged solution to those in search for a mobile printing device. 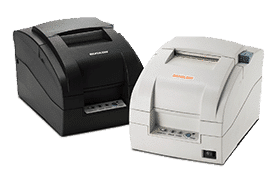 BIXOLON, a global manufacturer of advanced portable printers, Receipt, Label, and Mobile Printers offer both exciting and innovative POS and Mobile printing technologies for an array of industries such as Retail, Hospitality, Healthcare, Banking, Logistics and more. Contact our team to talk through our products so that we can help choose the perfect device for you. Our devices are a favourite in a range of industries for their speed and reliability. You can imagine when in a lot of industries, such as retail, this can improve customer satisfaction and customer flow and therefore help increase profitability within the shops. Setting the standard in printing technology, BIXOLON is an essential tool for any business. We offer the top of the range POS products. Our range of portable printers supports USB, Wifi, Bluetooth and NFC Auto Pairing Technology. Our devices also support Apple, Windows, Android and Symbian platforms. Choose from the categories above to go through our range and select the perfect one for your business. Retail POS Printing – Cheap Vs Cheerful?